So says Barry Seal, an airline pilot turned international smuggler, who was involved in several shady businesses which made him a millionaire almost overnight. Seal’s life story is the stuff of Hollywood action films, and over 30 years after his death, “American Made” has hit the big screen. Tom Cruise, star of “Top Gun” and “Rain Man,” plays the protagonist of the film with a charm that is typical in his other films. 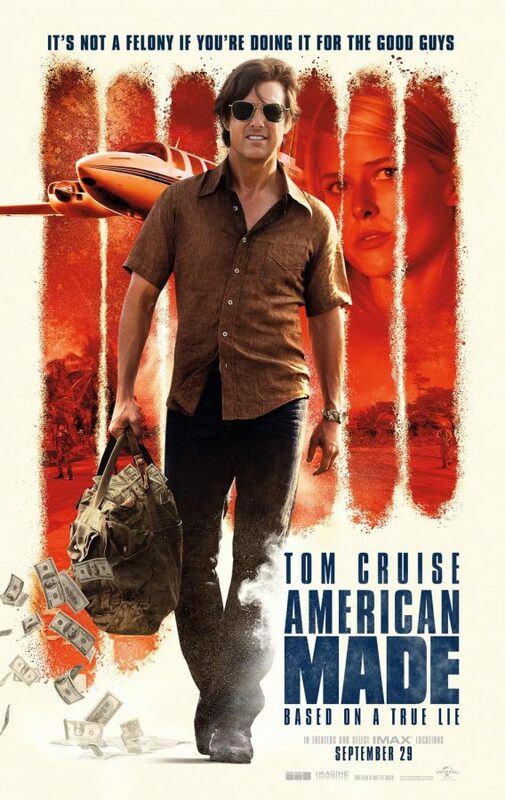 Having three Academy Award nominations and three Golden Globes for “Born on the Fourth of July,” “Jerry Maguire” and “Magnolia,” Cruise does a good job at embodying the careless selfishness of the real-life Barry Seal, even though he looks nothing like the film’s main character, who was quite burly. Another hiccup of “American Made” is the erroneous timeline of events presented by screenwriter Gary Spinelli. Barry Seal is approached and recruited to fly reconnaissance missions for the CIA in 1978. Three years later, he flies drug shipments for Pablo Escobar and the Medellín Cartel only because he is accosted in a Colombian airport by armed men. In both cases, he is in complete surprise and the lucrative jobs seem to fall in his lap. “American Made” was not made to be the next “Godfather.” It is an action movie made to entertain, and that is what it does. With great special effects and bright cinematography, the movie displayed technical proficiency. “American Made” has reopened the story about an interesting character in history unique to the time in which he lived. It brings back the mood of the 1980s and provides more information about a fascinating White House controversy, the Iran-Contra affair. The film has proven to be both a critical and commercial success, garnering $16.85 million at the box office in its opening weekend. Action-packed scenes and a standout performance from Tom Cruise should bring in enthusiasts of all genres of film.